A few months after « Don’t Fear » (D7004 – Paulette Wright & Fischerman), we come back with a very special 12″ vinyl. 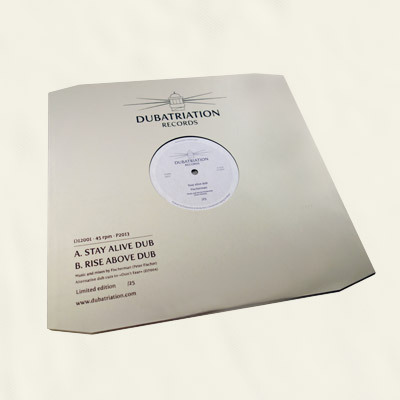 Indeed, 2 alternative dub mixes from this previous single have been burnt in the wax : Stay Alive Dub & Rise Above Dub, both mixed by Fischerman. 25 ltd copies… destined to the real Dubatriation label fans only !